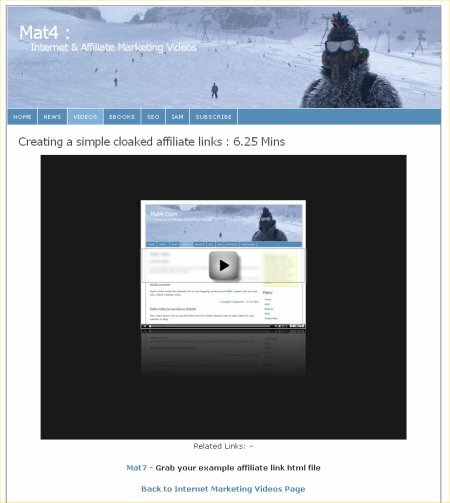 I’ve recently been reviewing some of my subscribers blogs and one of the main things that cropped up more than once is uncloaked affiliate links. One of the biggest problems with uncloaked affiliate links used to be Clickbank “hoplinks” as it is very easy to see the clickbank “nickname” being used and replace it, sothe referring affiliate ends up not getting credited for the commission, sometimes referred to as “hoplink hijacking”. Now thsi shouldn’t be as big a problem any more as Clickbank now offer “cloacked” links, instead of the traditional nickname.productname.hop.clickank_dot_net format that it used to be.